Gush Etzion Regional Council head Shlomo Ne'eman rejects Blue and White platform to keep 'blocs' but withdraw elsewhere. 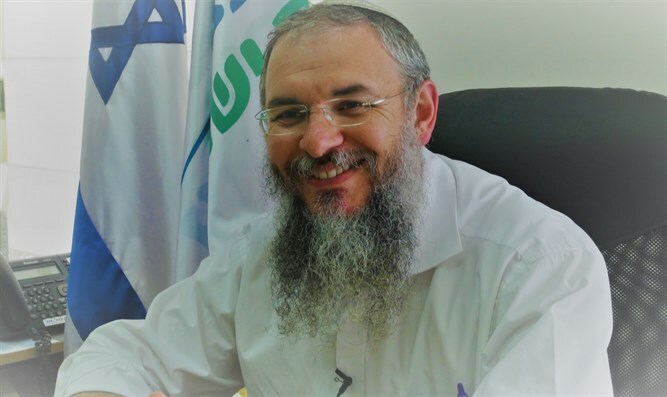 Gush Etzion Regional Council head Shlomo Ne'eman rejected the Blue and White party’s political platform in which it pledged not to withdraw from the “settlement blocs," but did not rule out other large-scale withdrawals in Judea and Samaria. "Gush Etzion will not be used as a fig leaf for those who want to divide the land and uproot thousands of Jews from their homes for false hopes and photographs on the White House lawn," Ne'eman said. "The concept of two-states is completely irrelevant - politically and morally irrelevant. "There must be one rule of law for all communities in Judea and Samaria when it comes to building, development, and the implementation of Israeli sovereignty." The Blue and White party platform, which was released on Monday, states that there will be no unilateral disengagement from Judea and Samaria and that there will be no withdrawal from four strategic areas: the 'settlement blocs, 'the Jordan Valley, Jerusalem and the Golan Heights. The terms "two-state solution" and "Palestinian state" are replaced by a call for a "Regional Conference to Promote Separation from the Palestinians."